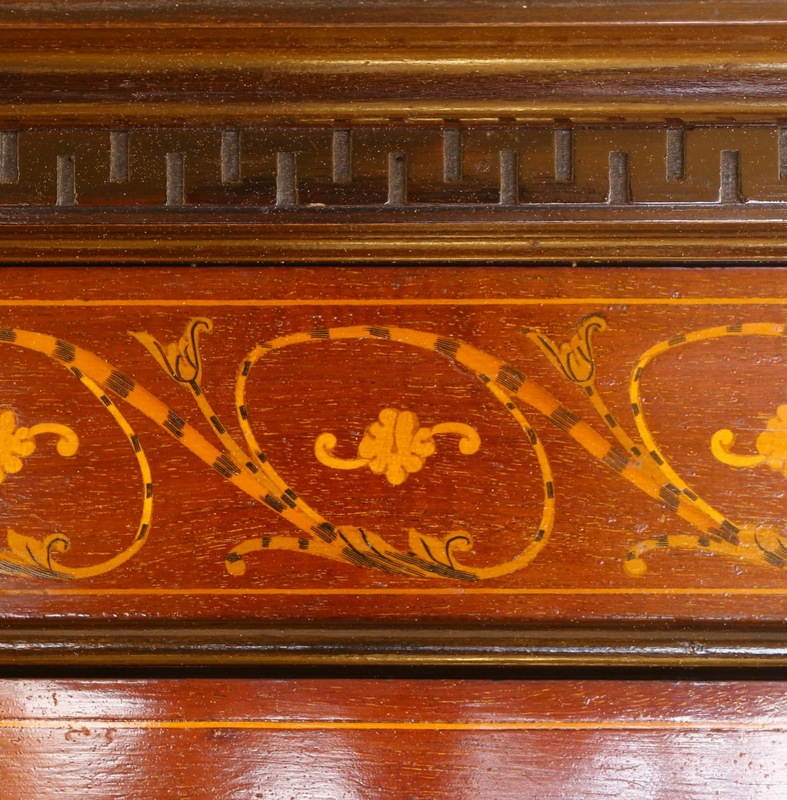 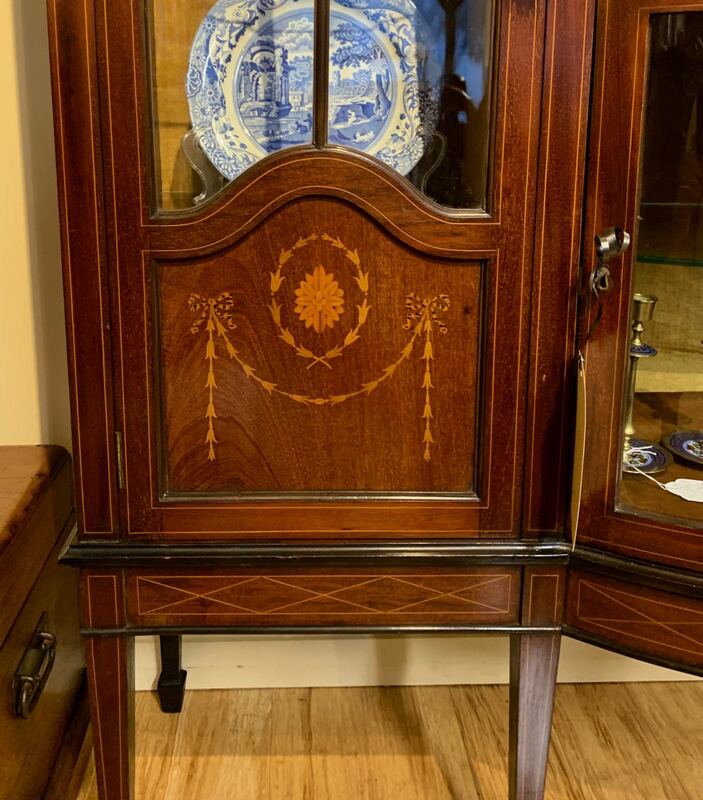 Edwardian Mahogany Display Cabinet, in the Sheraton manner, featuring fruitwood string inlay and handpainted floral garland decoration. 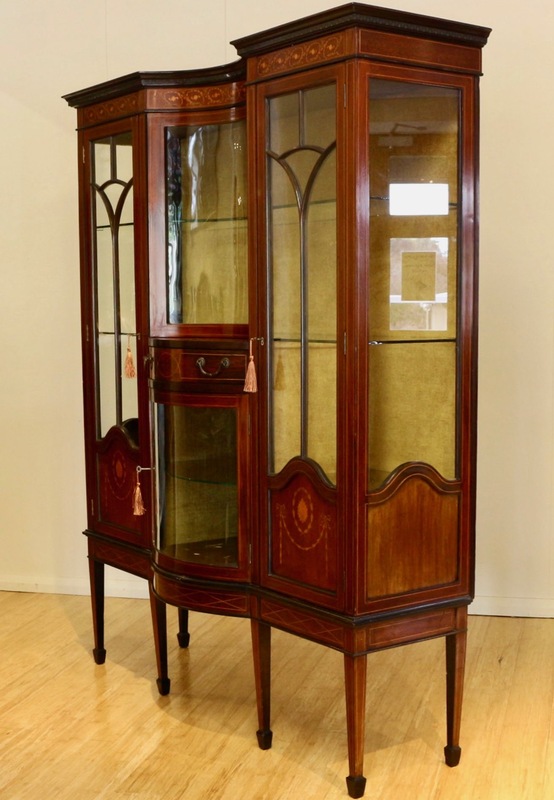 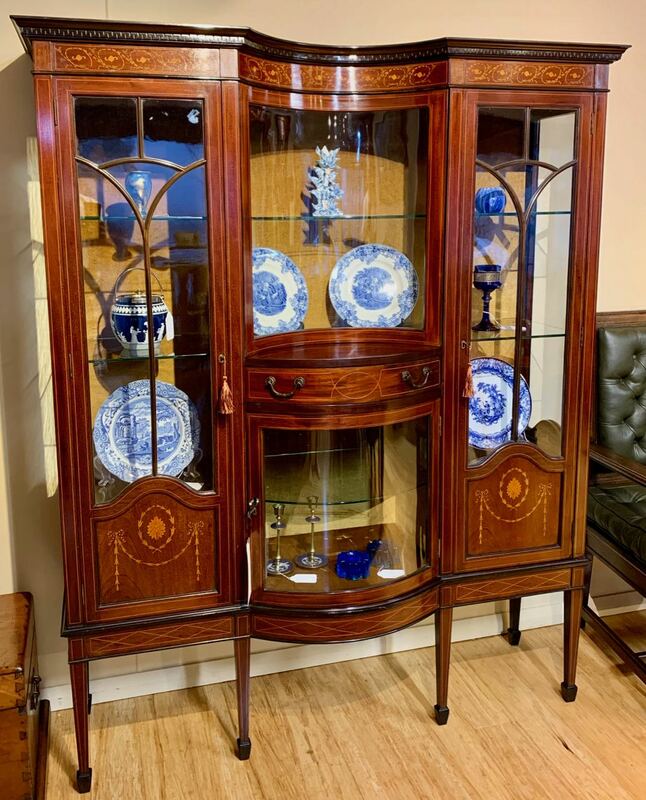 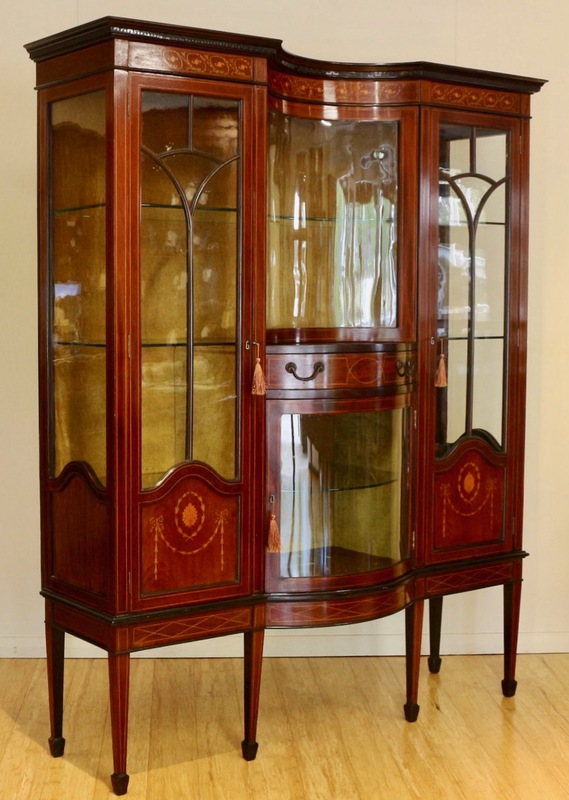 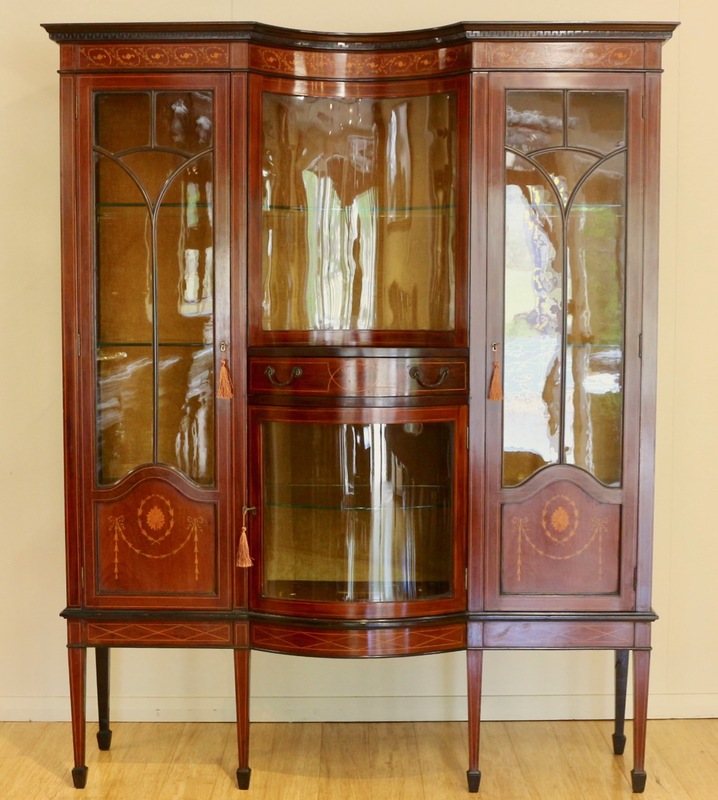 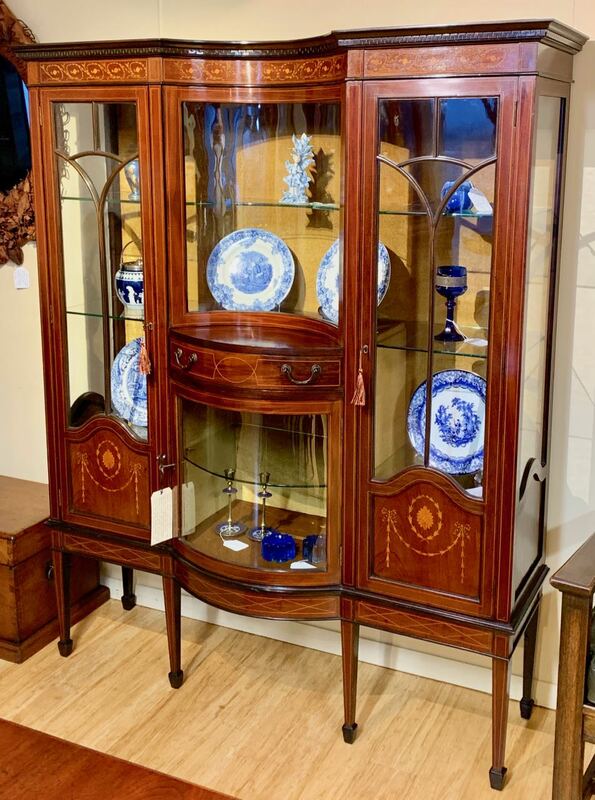 A very good quality Edwardian display cabinet with lovely old finish, retaining all of its original hand drawn glass including concave and convex glass to the middle doors. 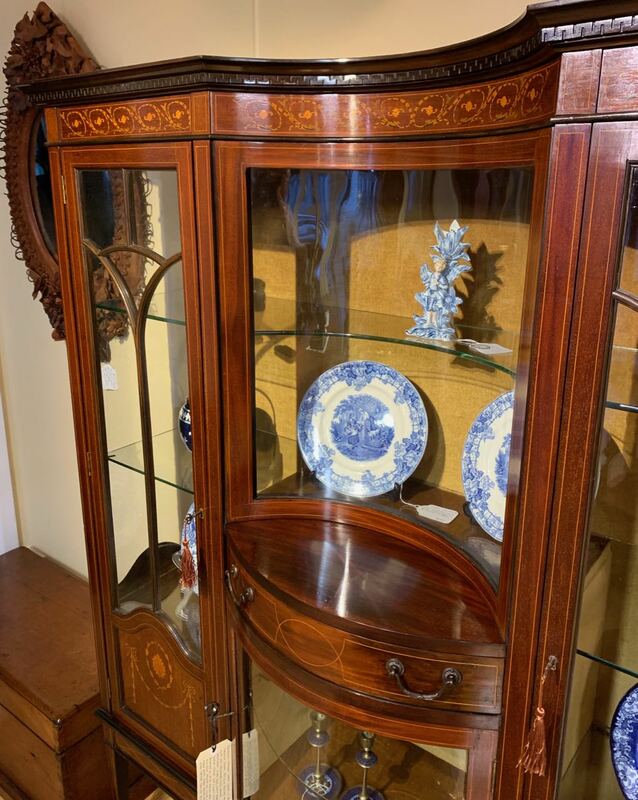 Timber shelves replaced with glass shelves.